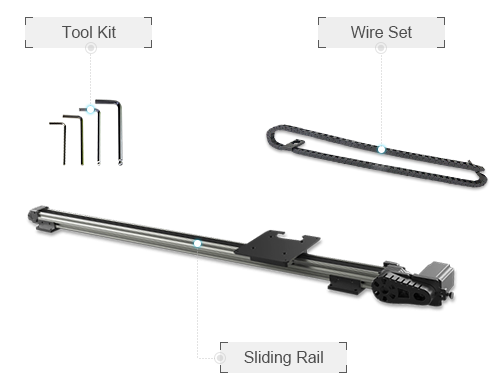 As Dobot Magician‘s official accessory, the sliding rail kit expands its functioning space to a new level. With interchangeable toolheads and a graphical programming environment, you’ll design complicated workflows like a pro. From organizing objects to writing a long letter, this simple accessory creates endless opportunities. One extra meter brings you endless possibilities! 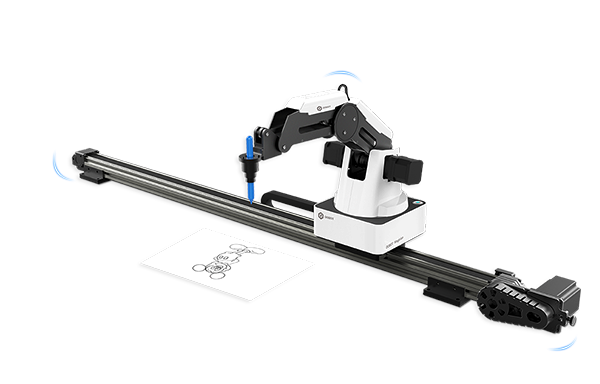 Interface the linear rail to the Dobot Magician robotic arm and control it with dobot software utilizitng Blockly programming or your own programming such as Python, C++, or C#.